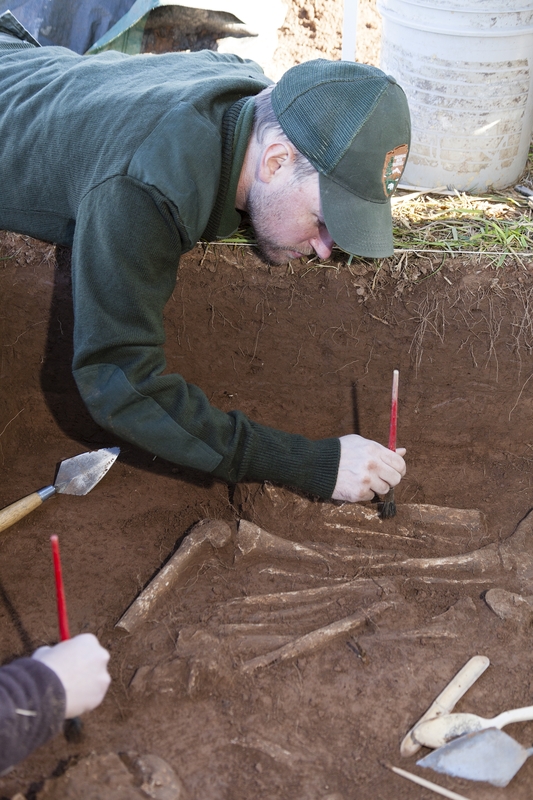 Archaeologists have unearthed a gristly testament to the horrors of the Civil War at Manassas National Battlefield Park in Virginia: a pit containing the skeletal remains of amputated limbs. 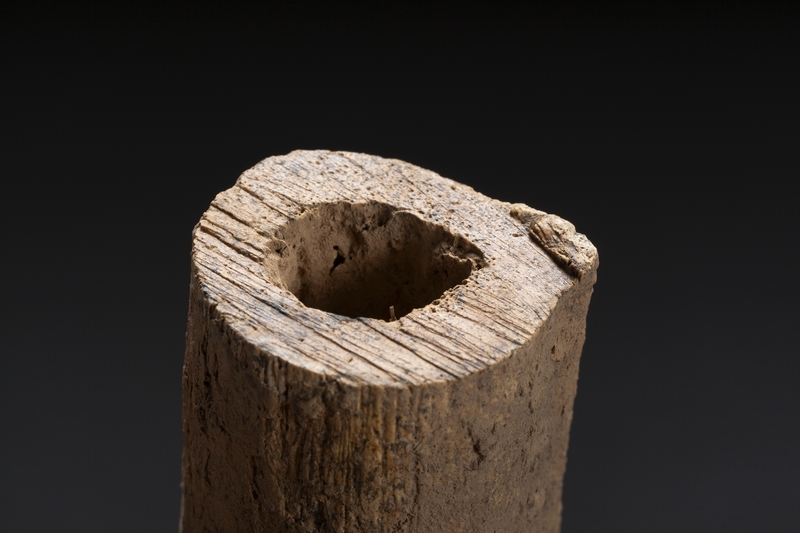 This is the first Civil War surgeon’s limb pit ever found and professionally excavated. The pit also contained the complete skeletal remains of two men, the first recorded find of whole bodies and amputated limbs buried in the same grave from the Civil War. The men of the First and Second battles of Bull Run were left on the field near Manassas rather than collected and buried in cemeteries, so there are human remains scattered throughout the park. The National Park Service maintains many Civil War battlefields as historic sites and as hallowed ground, preserving them rather than exploring them as archaeological sites. 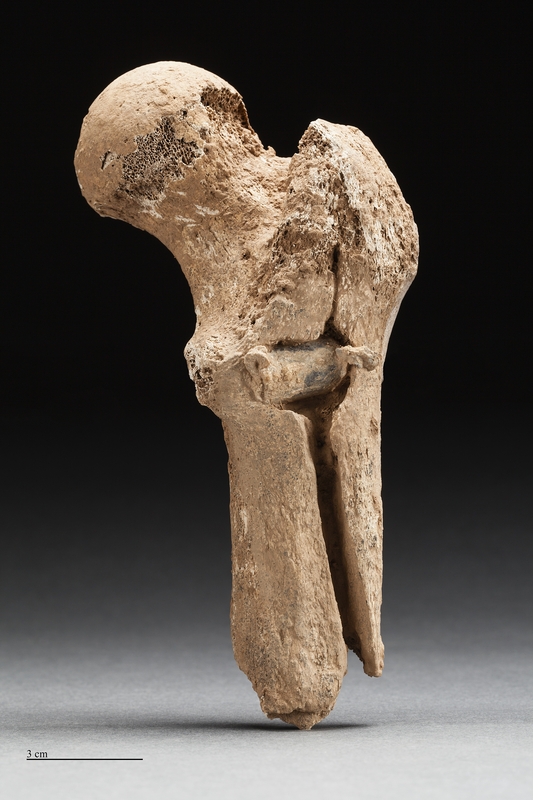 The excavation of the limb pit is a very rare exception precipitated by an inadvertent find of bone fragments in 2014. 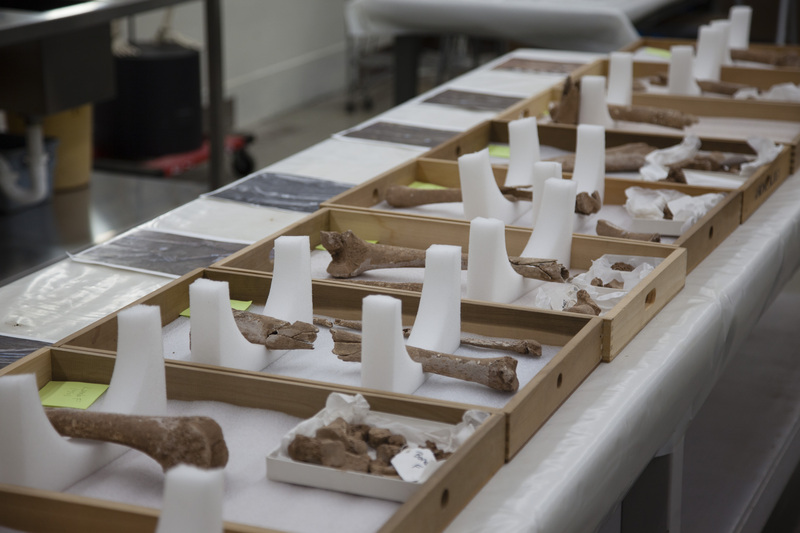 Park staff suspected the bones might be human and enlisted the aid of experts from the Smithsonian’s National Museum of Natural History to confirm it. They did. 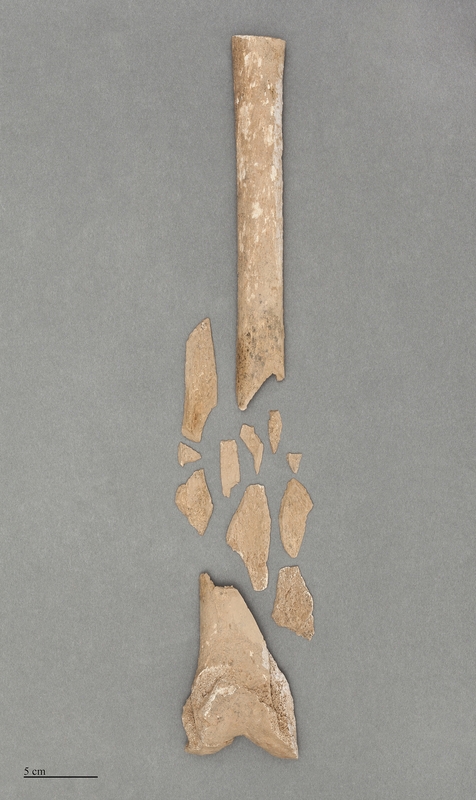 After much careful planning, a joint team of archaeologists from the National Park Service and the Smithsonian excavated a small area of the find site between October 19th and the 21st, 2015. In those two days, the team unearthed the skeletons of the two soldiers, 11 limbs and a few artifacts. The soldiers proved pivotal to determining whether the pit dated to the first or second of the Manassas battles. One of soldiers was found with lead buckshot in his bones and metal buttons running down his chest. The buttons were of a type used in Union sack coats which weren’t in production yet in 1861. The pit is from the Second Battle of Bull Run (also known as the Second Battle of Manassas) took place on August 28-30, 1862. The other soldier was shot with an Enfield bullet that is still lodged high up his femur. 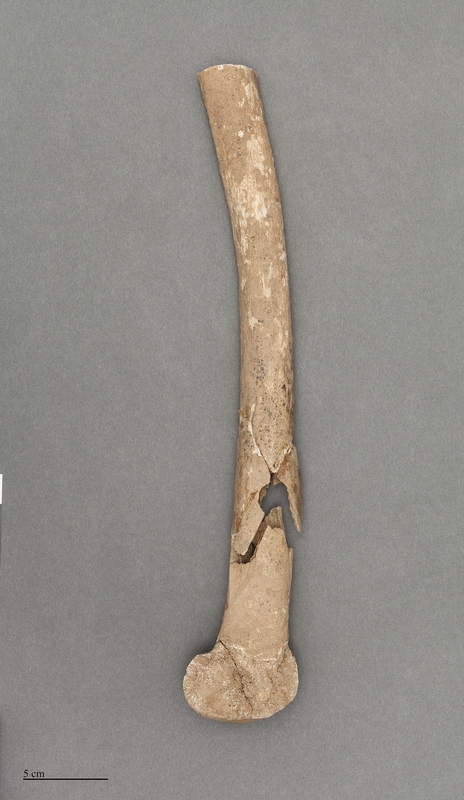 Stable isotope analysis revealed that both soldiers were raised in the northeastern United States. In dialogue with Bies at the Manassas site, and with the aid of military medical logs and other primary sources, Owsley and Bruwelheide pinned down what likely happened. Following the Second Battle of Bull Run, Union battlefield surgeons would have been admitted to the grounds by Confederate gatekeepers, with all but their most rudimentary supplies confiscated (it’s likely that chloroform was unavailable, meaning the procedures described above would have been undertaken with the patients conscious and suffering). There at the site, surgeons would have hastily operated on soldiers who had been baking in the sun and soaking in the rain without food for days on end. “Some of these amputations were probably done in less than ten minutes,” Owsley says. But what of the two full skeletons? Why were those men buried with the severed limbs of their brothers in arms? Owsley says the answer is simple. In the early days of the war, before the advent of sophisticated triage, the categories battlefield surgeons relied on were simple: those worth trying to save by amputation, and those beyond saving. The two men left in the shallow grave with the remains of their peers fell into the latter classification. The remains of the two soldiers have been transferred in a solemn ceremony to the US Army. They will be buried at Arlington National Cemetery later this summer.